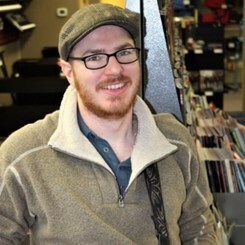 My name’s Joseph and I teach guitar, bass, ukulele, mandolin, and banjo. I graduated from University of Arkansas with my Bachelor’s degree in Guitar Performance. I have experience playing and teaching jazz, blues, rock, country, and more! I am currently teaching here at Music & Arts and am also playing for various musicals around the city, such as “The Rocky Horror Picture Show” and “Songs for a New World”. I have my own album, which you can find on YouTube, called “Hylobatidae”. In my spare time, I like to repair and service guitars, which I incorporate into my lessons. I firmly believe in making sure that my and my students' goals align at all times, and I’m currently scheduled to teach on Thursdays and Saturdays.